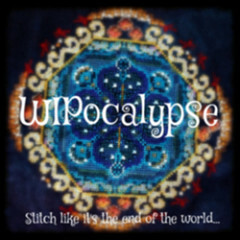 As I said, the WIP list is out of control. 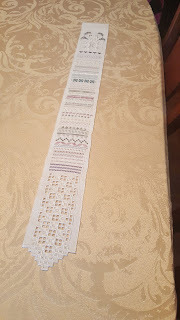 As I've now touched every piece of linen I own I'm quite sure there are no more hiding out so now we try to get the list down. 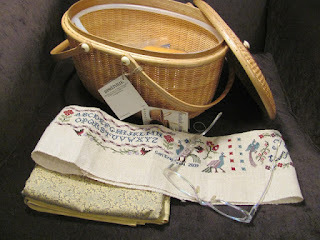 I dug out the Birds and Flowers Nantucket basket from my mom to see how much work was really left to do. Sadly I can't find the pattern for any of the accessories that were intended to go with the basket but I've got all the finishing fabric, ribbons and other bits to make the lining so I guess it will have to do. 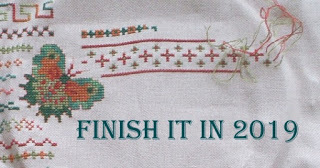 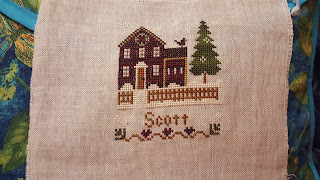 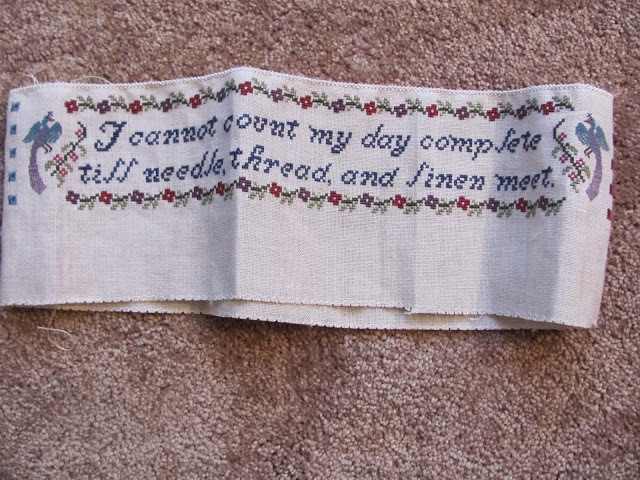 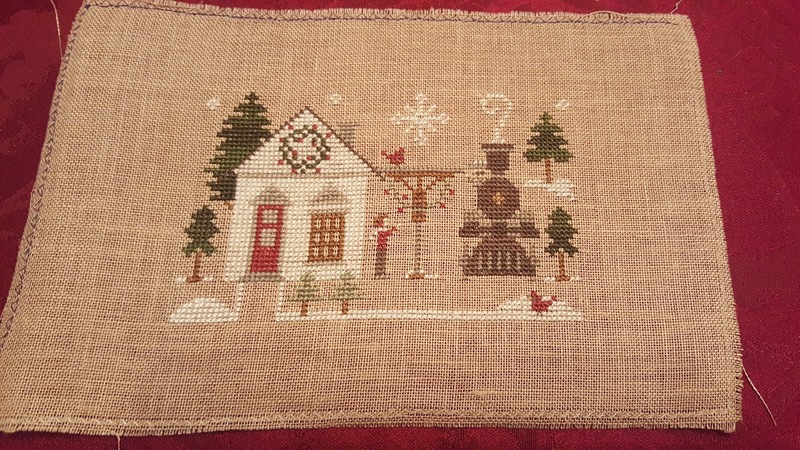 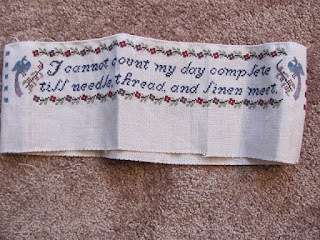 The most of the work is done, the cross stitch anyway. 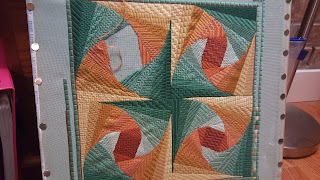 What is left is the edging on the top and bottom, mom nicely chose to start a Danish picot edge that I get to finish. 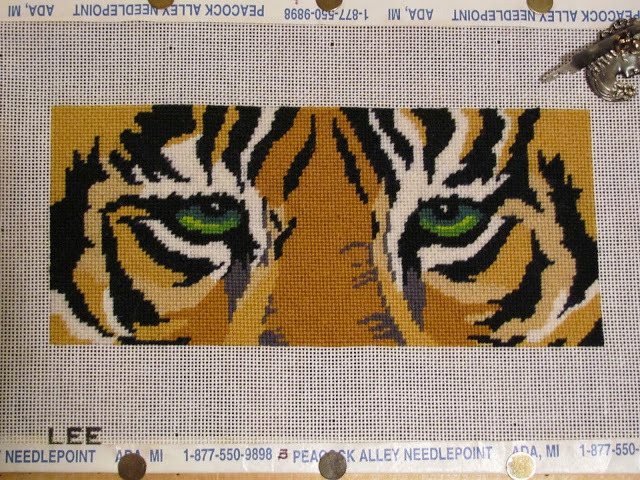 It moves along well enough so lets see if I can't knock this one out soon.